The Not On Steam sale has come and gone, during which time the games on offer grew 50%, from a lineup of 40 to over 60. Concurrent with that sale was a new batch of games Steam gave the Greenlight, where some of the games went from being 'not on Steam' to being prepped for Steam. Mixing these announcements together seemed like the perfect storm for everyone. Well, almost everyone. Definitely not for those who were not on Steam, nor not in the "Not On Steam" sale, which had to be capped at 62 games because of concerns that the website was going to take too long to load. I spoke with Not On Steam co-creator Aaron San Filippo (developer of Race The Sun), who organized the sale as a way to help him and others who weren't on Steam to generate buzz and ultimately for most to get through Steam Greenlight. His game was Greenlit on the first day of the sale, but that didn't stop his drive to make this a success. Along with his game, developers behind games such as Particulars, Spud's Quest, and Sky Nations had reported this promotion coinciding with the biggest sales and Greenlight traffic they've received. Alexey Volynskov of Arcane Worlds said it even caused more press to inquire about the game. Aaron shared that the biggest drivers of traffic to the sale site had been Reddit and Twitter. "Someone posted in a 'game deals' subreddit and it went straight to the top on Wednesday, and sent about 30k visitors over the first two days." YouTubers eventually started streaming the games, too. One pattern Aaron felt he had observed was that the games that used the embedded Humble Store widget tended to do better than ones that required an external site link. "I imagine this is a combination of convenience and their trusted store brand." Dark Scavenger developer Kyle Perry went from selling direct to using the Humble Store Widget. He said he was incredibly happy with the widget so far. "The fees are far less than BMT Micro, and it's a bit easier for customers to use. Also, the Humble Store guys got it working overnight for us." His Humble widget went up in the afternoon on October 3, a day after the sale began. "We didn't actually experience a huge spike in sales when we first switched to the Humble Store widget." He speculated that things like the lack of a game description or lack of review quotes on the Not On Steam website may have hurt. He admitted, "Our trailer doesn't sell the game well enough by itself... I believe word of mouth in the form of recommendations from fans is what sells our game the most." He tried to create his own perfect storm, selling on IndieGameStand, who featured the game (and a few other devs) during the sale. The game sold fewer there than it did direct, "but it was still worthwhile to put the game on sale on their site." Possibly speaking to being able to stand out among a big crowd, Dark Scavenger actually sold quite a few more units then it did in the Because We May sale last year, which was back when the game was only a month old. The Because We May site didn't showcase the games beyond denoting if they were nominated for an award or had a Metascore of 75 or higher. 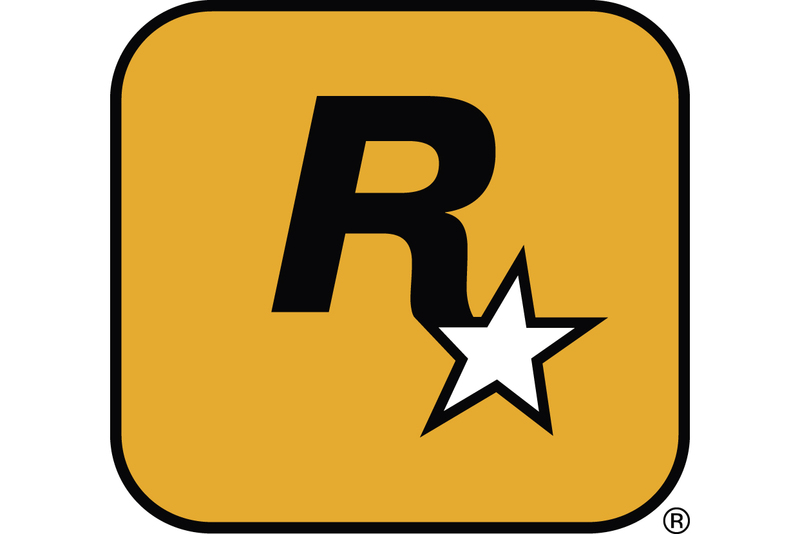 The site also featured hundreds of games across multiple platforms. Game bundles have been a solid way for indies to stand out in a crowd, in the past. However, the biggest revenue-generating one for PC games, Humble Bundle, wouldn't have been an option for most of these games, as being on Steam is all but a requirement. Aaron seemed to prefer this sale over bundles, though. He noted that for players, "they're not getting a bunch of games they'll never play along with the one or two new ones they really wanted - they're asking others which games they like, and just buying a couple games and then playing them. Long term, I kind of think this is the path to sustainable long-term growth in indie games: Developers make games for a particular audience, and then find ways to connect with that audience who'll value them highly." Not On Steam had a few shortcomings and less than stellar outcomes, though. Aaron said, "In one case, it was a game that required linking offsite, and this was also one of the few games that wasn't promising a steam key later on if he arrived on Steam. In the case of another game, we discovered fairly late that his trailer wasn't linked properly." 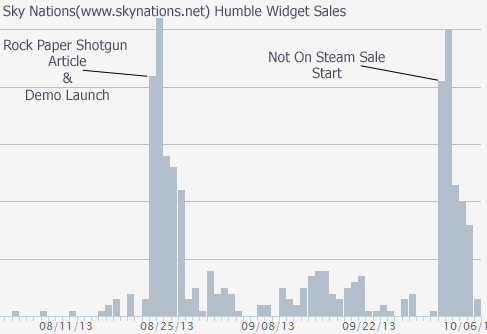 While sales were one goal, getting on Steam seemed to be the holy grail for most. With current Greenlight statistics devs can access, it is impossible to know if the sale was the exact source for certain spikes, but the coincidences are hard to ignore. Aaron reported, "We did have a couple developers tell us they had the best day on Greenlight in a long time, and one developer said he had 10k visitors on his page in a day." However, with so many games all grabbing Greenlight votes, "they might've all collectively gained votes but not changed their rankings much," Aaron wondered. "From our own experience - to move the needle on Greenlight really requires a much bigger piece of traffic - and these days this mostly comes from the big YouTubers." With the sale barely over, he's had a little time to imagine what he'd do differently, "It'd be good to be able to get more textual info on each game, without leaving the site. I imagine that we'd need to curate the list to some degree, simply because a followup sale with completely open doors might be overwhelming. But right now, we're kinda just soaking it all in and not planning for a direct followup." Aaron also has a much greater appreciation for sites that cover indie games, realizing the 1,000s of games that would like to be involved and would need to be selected from, if that were to occur. "We're also really hoping that sometime in the not-too-distant future, the need for a 'Not On Steam' sale will be negated by the changes Valve has hinted at with letting more games onto their platform... It'd be awesome to see [the sale] grow, perhaps with the help of some partners who could give it even more visibility and help manage it better than two game developers in Wisconsin."